Are you one of those who wants utmost value for their investment? Of course, you are, everybody does. But the critical question is - are you making the smart choices to achieve your financial goals? If you are one of those who thinks insurance is a form of investment, your investment plan needs an immediate overhaul. It's high time you consider dynamic alternatives like equity investment. Your money and time are extremely important, hence you should invest them only in the instruments which will keep the value of your investment at par with the inflation rate. It sounds little difficult to understand, doesn't it? 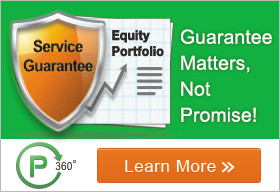 The stock advisory firm is the perfect alternative for you. It will usher you in the market with utmost ease. Here's a list of 5 reasons why stock advisory firms can brighten your investment prospects. The stock market is an ocean of stocks. From blue-chip stocks to small-cap there are various stocks listed on the market. To identify the best stocks with the best prospects one needs years of experience and top-notch analytical skills. So if you sign up with good stock advisory firm it is very likely that you will get good returns from the stock calls provided by their research analysts. The work of stock advisory firm is not just restricted to identifying undervalued stocks. These firms also help their clients to draw an investment plan which will perfectly suit all their requirements. The advisory firms have the answers for all the difficult questions like 'where to invest', 'how much to invest', etc. Providing customised investment plan is the salient feature of these advisory firms. Those who have already begun their stock investment journey can seek some valued advice from an advisory firm. A review of your portfolio or overall investment plan by expert stock analysts can be quite beneficial. Any form of investment, be it mutual funds or equity, needs to monitored periodically to understand its performance and growth. A thorough scrutiny helps to weed out bad investments and to bring in the damage control measures, which saves both time and the money of the investor. To choose the stocks which can give you best returns is not an easy task. To ascertain it's sustainability and growth potential one has to run it through various parameters i.e. market capital and management of the company, P/E ratio of the stock, YoY growth, debts of the company, etc. It's a tedious and an extremely time-consuming process. Subscribing to a good stock advisory firm will save you the trouble of doing it yourself. One of the key features of stock advisory firms is that they provide a personalised experience to their clients. Most of the firms let their clients interact with the stocks analysts. This helps to understand the needs of the client and to design the best investment plan to meet their short-term or long-term financial goals. Furthermore, you get an expert advice on all your queries related to investment. Isn't that a good enough reason to sign up?